December 26-28 is the “Reunion Weekend” at IIT Madras. On Dec 26, the Silver Reunion of the ’89 batch takes place, followed by the Ruby Reunion of the ’74 batch on Dec 27, and as a grand-finale, the grand-daddy of them all— the first-ever “Golden Reunion” of the ’64 & ’65 batches (both of which graduated together in 1964). The morning program on December 26, Friday, is open to all. For the first time ever, the Distinguished Alumnus Awards will be announced during the Director’s address on that day; traditionally, the Awards have been announced during the Director’s Republic Day address on Jan 26, but we felt that this occasion (now that it has become an annual feature) is more appropriate, and gives the awardees more time to plan their travel to campus to receive their award on “Institute Day” in April (or “Alumni Day” in July, now a fixture on the day after Convocation). Be there on Dec 26 for the excitement of a live announcement! It’s the next best thing to the Oscars!! The Dec 26 “Reunion Day” program has great content this year, just like last year’s well-received Event. As in 2013, we plan to feature IITM faculty, and their ground-breaking research, in a series of talks. As an added bonus, Kumaran Sathasivam and recently-retired Prof. Ajit Kolar (co-authors of the 1st IITM coffee-table book, “CampasChimes”) will present a multi-media musing on IITM’s heritage. This is a repeat of their presentation on “Alumni Day” in July 2014, which left many teary-eyes with nostalgia. So, prepare to wallow! The faculty talks this year are on a variety of themes. Prof. Ashok Jhunjhunwala will update on the “Uninterrupted Power Supply” initiative now well underway at IITM. 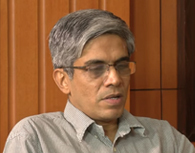 Prof. Prafulla Kumar Behera of the Department of Physics will speak about IITM’s newly-acquired membership in the CERN Supercollider Consortium, and what it means for the Institute. Prof. Mahesh Panchagnula will talk about the crown-jewel of the campus, the Center for Innovation (CFI, funded by batch of ’81), and plans to take it to the next stage of product innovation & incubation. 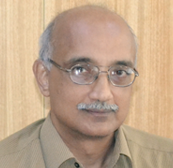 Prof. David Koipillai (Dean-Planning) will again talk about rankings, and why most media reports are misinformed at best. He will also tell us about how campus infrastructure will evolve over the next few years. These talks will be sandwiched between the usual brief addresses by Dean, I & AR (me! ), President-IITMAA (Gopi), Student Sec- I & AR (Rohit), and the reunion batch reps. We expect to premiere the 3rd volume in our “Alumni Matter!” film series—“Alumni Matter! Golden Edition”– at 9 am, with the program itself kicking off at 9:30 am in IC & SR Auditorium, and climaxing in the Director’s address around noon. Lunch will follow, and there will be day-long programs for spouses & children. So, do join us and be part of a memorable morning at your alma mater.